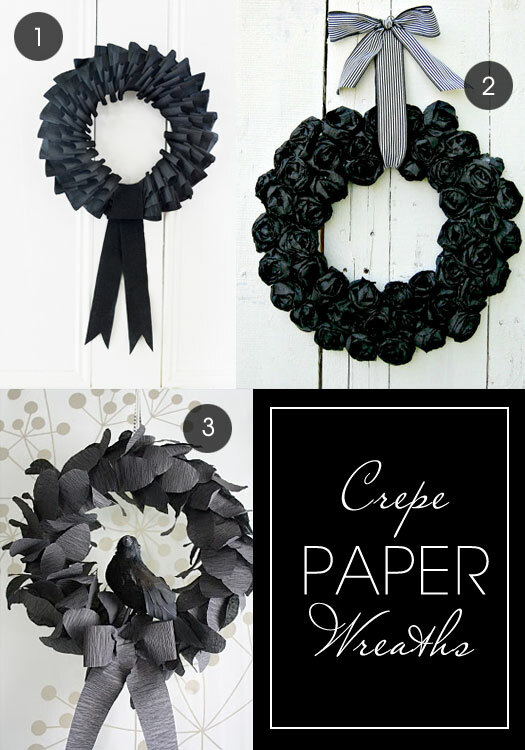 Here are some beautiful examples of what can be done with a humble roll of crepe paper when you need some Halloween decorations. 1. See the slideshow tutorial at Country Living on how to make this elegant ribbon-style wreath.